Download the best dota hotkeys for you. Used by more than 8000 dota players per day. Standard and the best dota hotkeys for you. 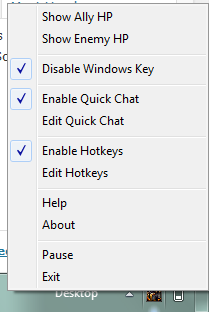 With quick chat for dota commands and modes. With show ally HP / enemy HP and disable Windows key. 1. Extract the ZIP file properly. You can use my favorite decompressor or the famous winrar. 2. If your OS (Operating System) is Windows 7 and the hotkeys doesn’t run properly, try to run as administrator. Right Click the dotahotkeys.exe and click Run as administrator. 3. I see a lot of people are posting alternative links and their copycat posts / blog in the comments section. P.S. Don’t forget to attribute this blog and show some respect. 1. There a lot of people who are downloading around 3:PM to 8:PM. The reason is that there a lot of students who are playing after school hours. 2. I received a lot of traffic during holidays and vacation. 3. This post was originally for our team’s consumption and initially have no intention to share it for everyone. Proudly powered by WordPress | Theme: Panda 2.0 by Kevin John Ventura.